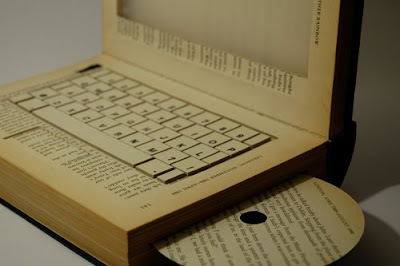 [BB-Blog]: The Future Of Books. Currently studying at the University of Brighton, designer/illustrator Kyle Bean recently finished this project, ‘The Future of Books’ out of an old charity-shop book. This is really rad. Someone with serious patience put so much time into this. I want to wittle a book.